This thriller marks the debut of Mechelle Deakes, a hard-edged African-American detective who is assigned to Atlanta’s Cold Case Unit – and a partner who is determined to find a twisted serial killer – no matter what the cost. Terror He calls it the Body Box. It’s a space too small for his victims to sit up or lie down. But it’s the perfect place to keep them for his gamesthe perfect place to watch them while they die. Can’t Be Bad choices and big mistakes have landed Detective Mechelle Deakes on the Atlanta Police Department’s lowest rung, the Cold Case Unit. 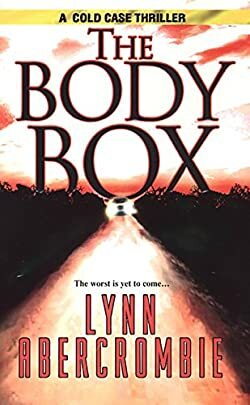 Sifting through forensic evidence and unsolved murder files is a thankless job she shares with her new partner, Lieutenant Hank Gooch, a man of few words and even fewer for African-American female cops like Mechelle. His single obsession is finding a serial killer who preys on the most innocent of victims, a man he thinks is responsible for many of the most gruesome unsolved cases in their files. And one chilling look convinces Mechelle that Hank’s right. Contained It’s a case that has been cold for a reason. Someone wants it to stay closed. And two cops will risk everythingtheir jobs, their reputations, even their livesto uncover the truth, no matter where it takes them.